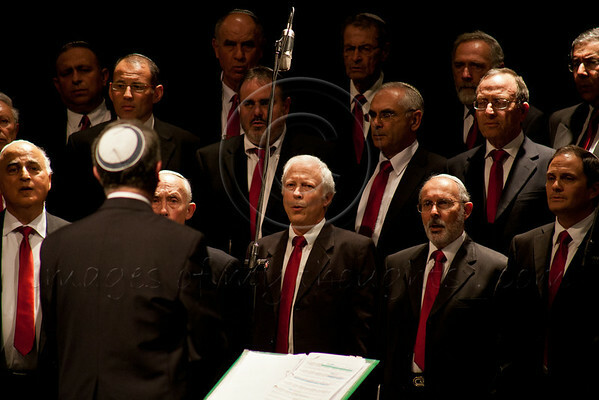 The Ramatayim Men’s Choir, conducted by Richard Shavel Tzion, in Rainbow Of Music presented by the Jerusalem Performing Arts Festival and the Malki Foundation in memory of Malki Roth, murdered in August 2001. Jerusalem, Israel. 25-Mar-2012.